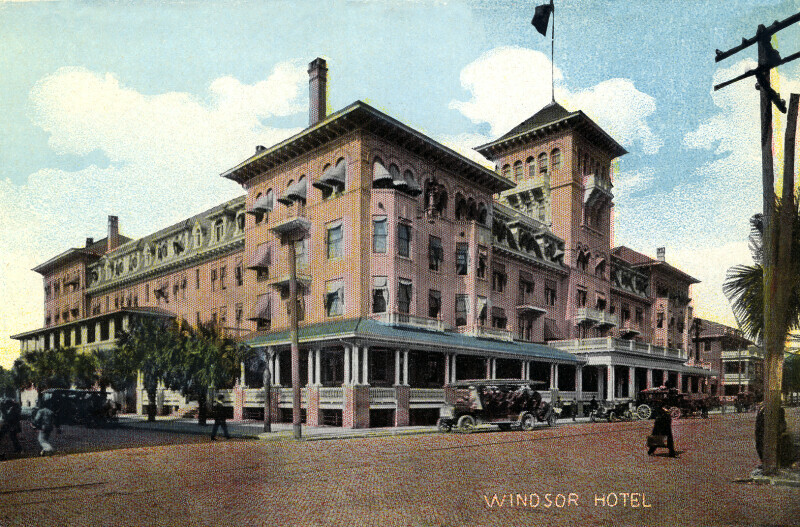 The Windsor Hotel is shown from ground level, looking at the southeast corner of the building. The front porch wraps around the front half of the building, and there are balconies on the second floor. The four corners of the building have a uniform exterior, to the cornice topping the fourth floor. The center of the side wall shows a mansard roof, with multiple style of dormer. There are early model automobiles parked on the street, and pedestrians are crossing the streets.